One of the creative DIY is to taking old and making it into something new. Today we are going to show you some clever DIY hacks that are created from the old items of furniture. One of the creative DIY is to taking old and making it into something new. Today we are going to show you some clever DIY hacks that are created from the old items of furniture. Check it out. 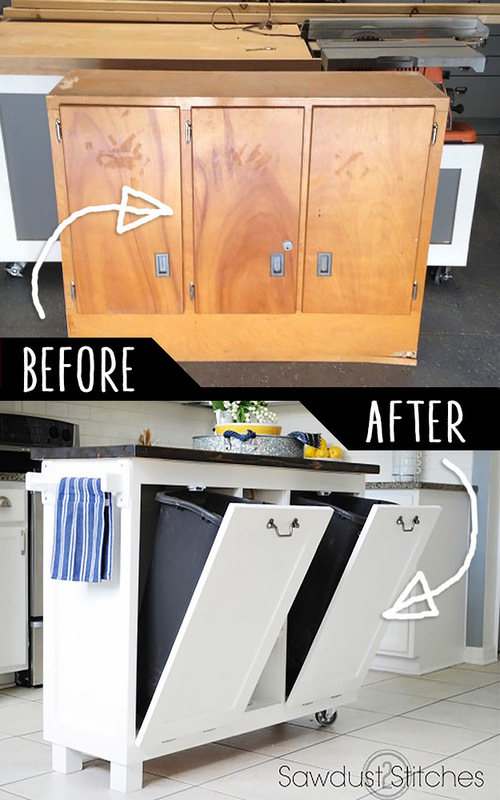 You won’t believe this old cabinet could be made to look so amazing as a kitchen island? This would be one of the amazing DIY project to try. Old doors are some of the best things to up cycle you can do so many different things with them. You can make coffee tables, desks and many other things of the headboard.